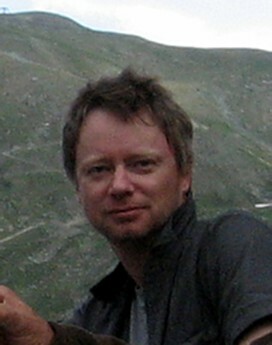 Dr. Dirszowsky obtained his undergraduate and graduate degrees in Geography from the University of Toronto. He also taught extensively in the Department of Geography at the University of Toronto and at Queen's University as an Advisory Research Committee/Principal's Development Fund Postdoctoral Fellow. He taught for one year at Carleton University before taking up a permanent position at Laurentian University where he is now appointed to the School of the Environment and a research associate of the Cooperative Freshwater Ecology Unit. His teaching interests are in the Earth and Environmental Sciences with emphasis on connections between sub-disciplines and other areas of Environmental Studies. He has taught introductory courses in Physical Geography, Earth Sciences, GIS, Geomorphology and Pedology, Hydrology and Climatology, and advanced courses in Quaternary Paleoclimatic Reconstruction and Physical Geography and Earth Science Research Methods and Field Methods. His research activities and interests focus on sediment production/movement in watersheds and lacustrine systems, landscape evolution, environmental change and paleolimnology. He is currently working to distinguish natural (climate change) and anthropogenic impacts on the sensitive and, in some cases, highly disturbed boreal shield landscapes near Sudbury in northeastern Ontario. Additional research is or has been carried out in Alberta, British Columbia and the Northwest Territories, the Antarctic Peninsula region, the French/Italian Alps and Venezuelan Andes. Mahaney, W.C., Allen, C.C.R., Pentlavalli, P., Kulakova, A., Young, J.M., Dirszowsky, R.W., West, A., Kelleher, B., Jordan, S., Pulleyblank, C., O’Reilly, S., Murphy, B.T., Lasberg, K., Somelar, P., Garneau, M., Finkelstein, S.A., Sobol, M.K., Kalm, V., Costa, P.J.M., Hancock, R.G.V., Hart, K.M., Tricart, P., Barendregt, R.W., Bunch, T.E., Milner, M.W. 2017. Biostratigraphic evidence relating to the age-old question of Hannibal’s invasion of Italy, I: History and geological reconstruction. Archeometry, 59: 164-178. DOI: 10.1111/arcm.12231. Mahaney, W.C., Allen, C.C.R., Pentlavalli, P., Kulakova, A., Young, J.M., Dirszowsky, R.W., West, A., Kelleher, B., Jordan, S., Pulleyblank, C., O’Reilly, S., Murphy, B.T., Lasberg, K., Somelar, P., Garneau, M., Finkelstein, S.A., Sobol, M.K., Kalm, V., Costa, P.J.M., Hancock, R.G.V., Hart, K.M., Tricart, P., Barendregt, R.W., Bunch, T.E., Milner, M.W. 2017. Biostratigraphic evidence relating to the age-old question of Hannibal’s invasion of Italy, II: Chemical biomarkers and microbial signatures. Archeometry, 59: 179-190. DOI: 1111/arcm.12228. Mahaney, W.C., Allen, C.C.R., Pentlavalli, P., Dirszowsky, R.W., Tricart, P., Keiser, L., Somelar, P., Kelleher, B., Murphy, B., Costa, P. and Julig, P. 2014. Polybius’ ‘Previous Landslide’: Proof that Hannibal’s invasion route crossed the Col de la Traversette. Mediterranean Archeology and Archaeometry, 14: 1-20. Mahaney, W.C., Keiser, L., Krinsley, D.H., West, A., Dirszowsky, R.W., Allen, C.C.R. and Costa, P. 2014. Recent developments in the analysis of the Black Mat layer and cosmic impact at 12.8 ka. Geografiska Annaler, 96A: 99-111. Dirszowsky, R.W., Finkelstein, S.A. and Davis, A.M. 2013. Pollen evidence for major shifts in forest composition since 1850 AD at the southern edge of Ontario's boreal forest. The Canadian Geographer, 57: 173-185. Dirszowsky, R.W., Wilson K.M., Finkelstein, S.A. and Shenstone-Harris, S. A. 2013. Supplementary Report on the Sedimentary Record of Fame Lake, City of Yellowknife, Northwest Territories – The FL05 Diatom Record. Supplementary Report to Fisheries and Oceans, Canada (Fish Habitat Management, Western Arctic Area, Central and Arctic Region), 15pp. Dirszowsky, R.W., Wilson K.M., Finkelstein, S.A. and Shenstone-Harris, S. A. 2013. The Sedimentary Record of Fame Lake, City of Yellowknife, Northwest Territories, Technical Report to Fisheries and Oceans, Canada (Fish Habitat Management, Western Arctic Area, Central and Arctic Region), 104pp. Mahaney, W.C., Keiser, L., Krinsley, D.H., Pentlavalli, P., Allen, C.C.R., Somelar, P., Schwartz, S., Dohm, J.M., Dirszowsky, R.W., West, A., Julig, P. and Costa, P. 2013. Weathering rinds as mirror images of paleosols: Examples from the Western Alps with correlation to Antarctica and Mars. Journal of the Geological Society, London, 170: 833-847. Dirszowsky, R.W. and Desloges, J.R. 2010. Testing lake sediment and dendro-geomorphologic proxies for Little Ice Age environmental change in the upper Fraser River area of British Columbia, Canada. Geografiska Annaler, 92A: 393-410. Mahaney, W.C., Kalm, V., Dirszowsky, R.W., Milner, M.W., Sodhi, R., Beukens, R., Dorn, R., Tricart, P., Schwartz, S., Chamorro-Perez, E., Boccia, S., Barendregt, R.W., Krinsley, D.H., Seaquist, E.R., Merrick, D. and Kapran, B. 2008. Hannibal’s trek across the Alps: geomorphological analysis of sites of geoarchaeological interest. Mediterranean Archaeology and Archaeometry, 8: 39-54. Mahaney, W.C., Milner, M.W., Kalm, V., Dirszowsky, R.W., Hancock, R.G.V. and Beukens, R.P. 2008. Evidence for a Younger Dryas glacial advance in the Andes of northwestern Venezuela. Geomorphology, 96:199-211. Mahaney, W.C., Kalm, V. and Dirszowsky, R.W. 2008. The Hannibalic Invasion of Italia in 218 B.C. : Geological/Topographical Analysis of the Invasion Routes. In Nathanail, C.P., Abrahart, R.G. and R.P. Bradshaw (eds.) Military Geography and Geology: History and Technology, Land Quality Management Press, Nottingham, pp 76-86. Mahaney, W.C., Milner, M.W., Sodhi, R., Dorn, R.I., Boccia, S., Beukens, R.P., Tricart, P., Barendregt, R.W., Kalm, V. and Dirszowsky, R.W. 2007. Analysis of burnt schist outcrops in the Alps: relation to historical archaeology and Hannibal’s crossing in 218 BC. Geoarchaeology: An International Journal, 22: 799-818. Matson, A.L., Dirszowsky, R.W. and Gunn, J.M. 2007. The influence of land cover characteristics on lake bottom sediments in the Sudbury area. In P.J. Beckett (ed) Proceedings of the Mining and the Environment IV Conference, Centre for Environmental Monitoring and Cooperative Freshwater Ecology Unit, Sudbury, Ontario, pp 924-933. Mahaney, W.C., Dirszowsky, R.W., Milner, M.W., Harmsen, R., Finkelstein, S.A., Kalm, V., Bezada, M. and Hancock, R.G.V. 2007. Soil stratigraphy and plant-soil interactions on a Late Glacial-Holocene fluvial terrace sequence, Sierra Nevada National Park, northern Venezuelan Andes. Journal of South American Earth Sciences, 23: 46-60. Mahaney, W.C., Dirszowsky, R.W. and Kalm, V. 2007. Comment on “Late Quaternary deglacial history of the Mérida Andes, Venezuela” by Nathan D. Stansell et al. Journal of Quaternary Science, 20: 817-821. Dirszowsky, R.W., Mahaney, W.C., Kalm, V. and Beukens, R.P. 2006. Comment on “A Middle Wisconsin interstadial in the northern Andes” by Valentí Rull, Journal of South American Earth Sciences, 21: 310-314. Tweheyo, M., Reynolds, V., Huffman, M.A., Pebsworth, P., Goto, S., Mahaney, W.C., Milner, M.W., Waddell, A., Dirszowsky, R.W. and Hancock, R.G.V. 2006. Geophagy in chimpanzees (Pan troglodytes schweinfurthii) of the Budongo Forest Reserve, Uganda: a multidisciplinary study. In Newton-Fisher, N., Notman, H., Paterson, J.D. and V. Reynolds (eds), Primates of Western Uganda, Springer, New York, pp.135-152. Dirszowsky, R.W., Mahaney, W.C., Hodder, K.R., Milner, M.W., Kalm, V., Bezada, M. and Beukens, R.P. 2005. Lithostratigraphy of the Mérida (Wisconsinan) glaciation and Pedregal Interstade, Mérida Andes, northwestern Venezuela, Journal of South American Earth Sciences, 19: 525-536. Mahaney, W.C., Kalm, V., Jõeleht, A., Bezada. M. and Dirszowsky, R.W. 2005. Nye Channels (Flutings) on the Humbolt Massif, Northern Venezuelan Andes, Zeitschrift für Geomorphologie, 49: 253-264 . Dirszowsky, R.W. 2004. Bed sediment sources and mixing in the glacierized upper Fraser River watershed, British Columbia. Earth Surface Processes and Landforms, 29: 533-552. Dirszowsky, R.W. and Desloges, J.R. 2004. Evolution of the Moose Lake delta, British Columbia: Implications for Holocene environmental change in the Canadian Rocky Mountains, Geomorphology, 57: 75-93. Mahaney, W.C., Dirszowsky, R.W., Milner, M., Stewart, A., Kalm, V., Menzies, J. and Bezada., M. 2004. Quartz microtextures and microstructures owning to deformation of glaciolacustrine sediments in the Northern Venezuelan Andes, Journal of Quaternary Science, 19: 23-33. Dirszowsky, R.W. and Desloges, J.R. 1997. Glaciolacustrine sediments and Neoglacial history of the Chephren Lake basin, Banff National Park, Alberta, Géographie Physique et Quaternaire, 5: 41-53.